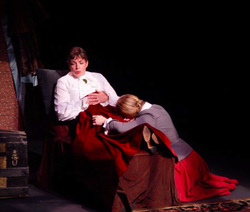 Cauldron & Labrys Productions is a "dba" for Carolyn Gage's productions, mostly of her own work. These plays are produced in Maine, and frequently tour regionally and occasionally nationally. Check out our Herstory! Cauldron & Labrys is affiliated with the Maine Theater Collective.